Lavinia, Helen, Jo, Candace & Debby between projects. Why is that table so neat????? Our first card used scallop punches and a Midnight Muse and Vanilla color palette. 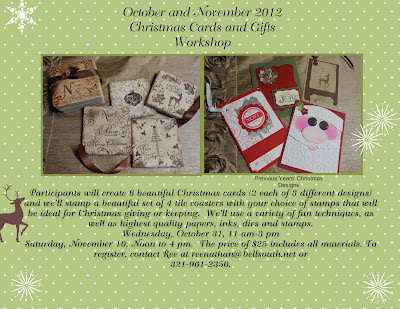 I love this card that I learned to make at a recent workshop in Jacksonville. Shades of Soft Suede and Crumb Cake give a vintage flavor to this 3-dimensional card. Our next meetings will be on Monday, September 24. You can sign up for the 10:30 am class or the 1:30 pm. We'll be making a pretty greeting card and the cutest little Halloween bag ever! 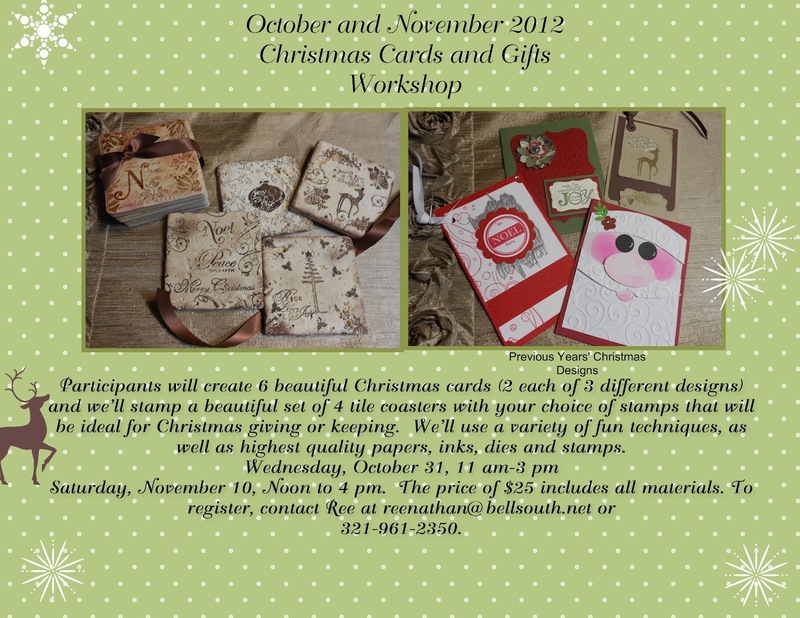 Don't forget to sign up for a Christmas Cards and Gifts Workshop! Congratulations, Helen, for finding the secret message. You'll receive an Art Gallery Cards tote! Fabulous Stamping Friends and Fabulous Shoes! !